LED Black Lace Cat Animal Ears Headbands are the puuuurfect thing for Halloween, clubs, raves, festivals, costumes, parties, or for just kitten-around. Beautiful black lace fabric kitty ears are sophisticated, sleek, classy, and will light up any room! LED Colors: 5 White lights on each ear. 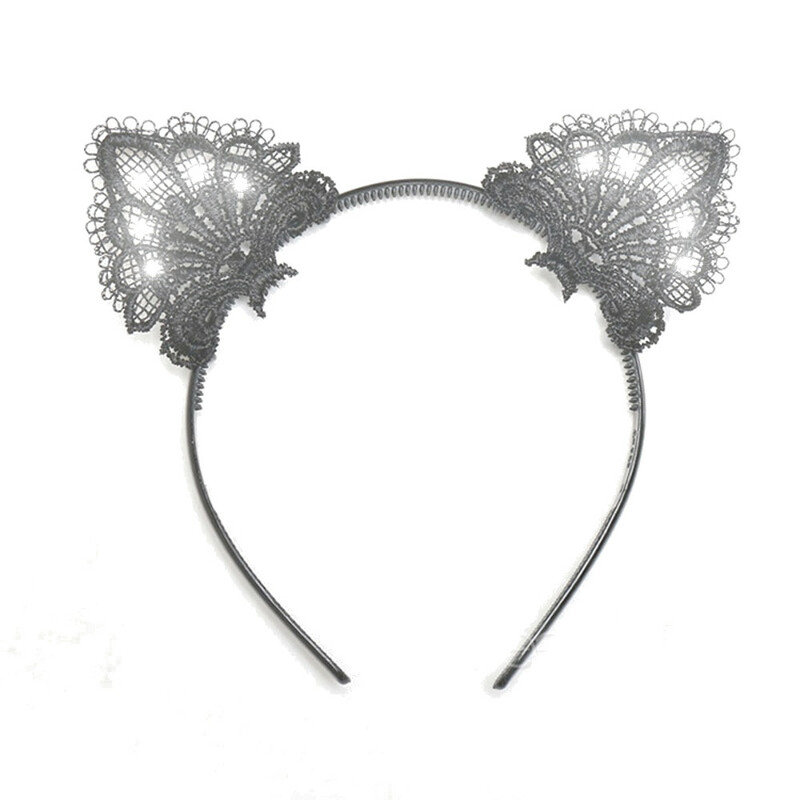 Black Lace Cat Ears comes ready to use with 2 replaceable CR2032 batteries.